Brighton Pride runs from Friday 2nd - Sunday 4th August 2019 and will incorporate the FREE Pride Community Parade, Pride Festival, Pride Pleasure Gardens, Pride Village Party and many more surprises to be announced. 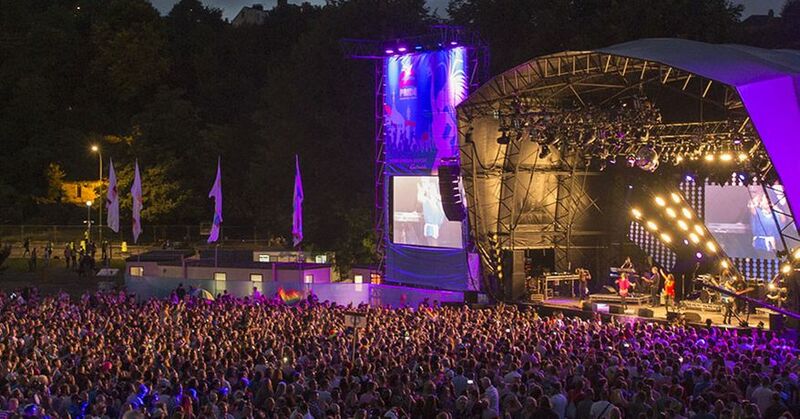 The Brighton Pride Festival in Preston Park is a glittering and truly inclusive community celebration that delivers an unforgettable day of Pride. A unique community fundraising event, the Brighton Pride Festival has enjoyed amazing performances from international stars including Pet Shop Boys, Years and Years, Sister Sledge, Carly Rae Jepsen, Fatboy Slim, Paloma Faith, Katy B, Ruby Rose, The Human League, Lousisa Johnson, Fleur East, Ella Henderson, Becky Hill, Boy George, Alison Moyet, Ms Dynamite amongst others.